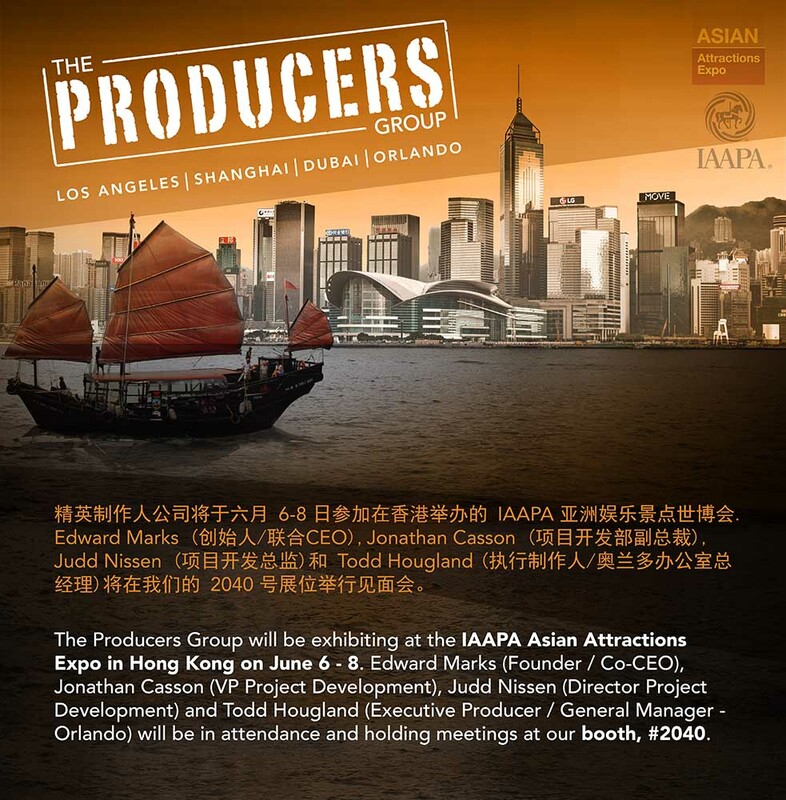 The Producers Group will be exhibiting at the IAAPA Asian Attractions Expo in Hong Kong June 6-8, 2018. In attendance will be Edward S. Marks, Jonathan Casson, Judd Nissen, and Todd Hougland. You can set an appointment with our team by either messaging us directly via Facebook or emailing us at IAAPA@producers-group.com. We look forward to seeing you at Booth 2040!